Now before you laugh (woops! Too late! ), there’s probably a market for this thing – for people who want the very best digital agricultural experience that money can buy. 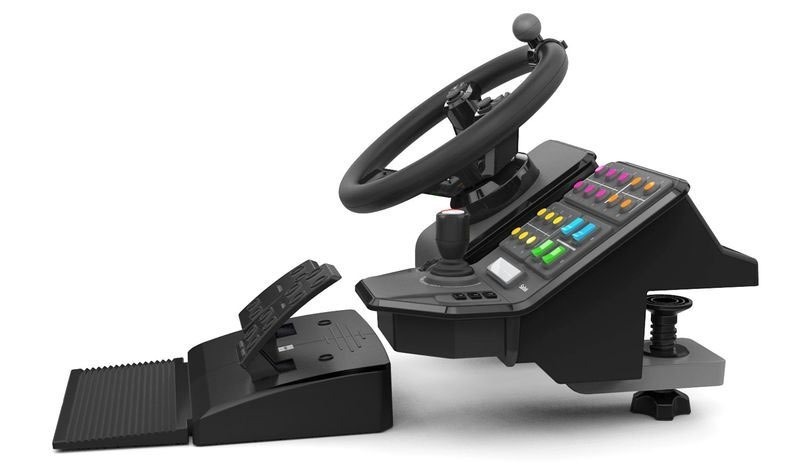 And they’ll be getting with a Steering wheel and pedals (including that tractor knob! 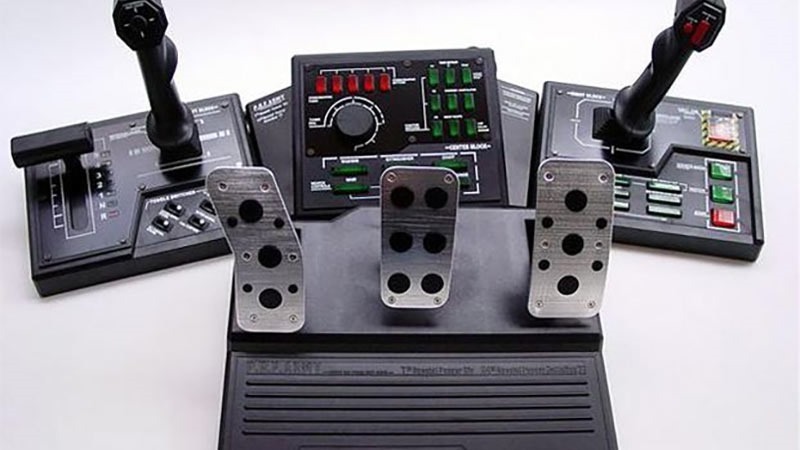 ), and a side panel that includes 20 programmable buttons. It’ll be available for $149 for just the wheel and pedals, or $299 for the whole damned thing. Farming Simulator is one of those things that you’d imagine nobody in their right minds would play, and yet it shows up on the most popular bits of software in many a list – including the sales charts here in South Africa. Many report enjoying for the zen-like calm state that doing rote, mundane and repetitive actions akin to actually doing menial work can bring. I ain’t judging.